There is perhaps no leader in the world more important to current world affairs but less known and understood than Ayatollah Ali Khamenei, Supreme Leader of Iran. 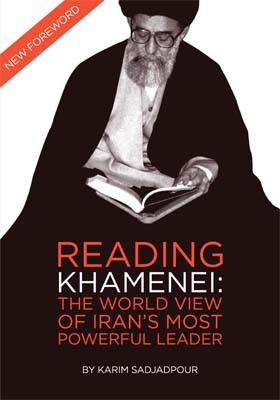 In a unique and timely study Carnegie’s Karim Sadjadpour presents an in-depth political profile of Khamenei based on a careful reading of three decades' worth of his writings and speeches. According to Sadjadpour, Khamenei’s legitimacy was one of the numerous casualties of Iran’s tainted 2009 presidential elections. While for two decades he had attempted to cultivate an image of an impartial and magnanimous guide staying above the political fray, his defiant public support for hardline President Mahmoud Ahmadinejad—amid massive popular uprisings and unprecedented fissures among the country’s political elites—exposed him as a petty, partisan autocrat. Despite the damage to his reputation, Khamenei’s vast and potent network remains for the moment intact. The country’s most powerful institutions—the Revolutionary Guards, presidency, Parliament, Guardian Council, and judiciary—continue to be led by individuals either directly appointed by Khamenei or deeply loyal to him. Khamenei also retains enormous influence over the Iranian economy. Thus, for the foreseeable future, any successful approach toward Iran must take into account Khamenei's pivotal role in Iran’s decision-making process and his deeply held suspicions of the United States. Indeed, as Sadjadpour argues, a fundamental shift in Iranian domestic and foreign policy is unlikely as long as Khamenei is at the helm. After three decades of immersion in the “death to America” culture of 1979, it simply may not be possible for Khamenei to reinvent himself at age 70. Click on the icon above for the full text of this Carnegie report. Karim Sadjadpour is an associate at the Carnegie Endowment for International Peace. He joined Carnegie after four years as the chief Iran analyst at the International Crisis Group based in Tehran and Washington, D.C. A leading researcher on Iran, Sadjadpour has conducted dozens of interviews with senior Iranian officials, and hundreds with Iranian intellectuals, clerics, dissidents, paramilitaries, businessmen, students, activists, and youth, among others.